When grand visions are presented on how business could develop sustainability into the mainstream, often the metaphor of Malcom Gladwell’s Tipping Point is used. The World Wildlife Fund’s (WWF) vice president of market transformation, Jason Clay, has worked out the most famous application of this theory to the domain of food and agriculture in relation biodiversity conservation. In short this work argues that there are 15 key commodities which impact biodiversity and that 70% of those key commodities are under influence of a limited group of 300-500 corporations. 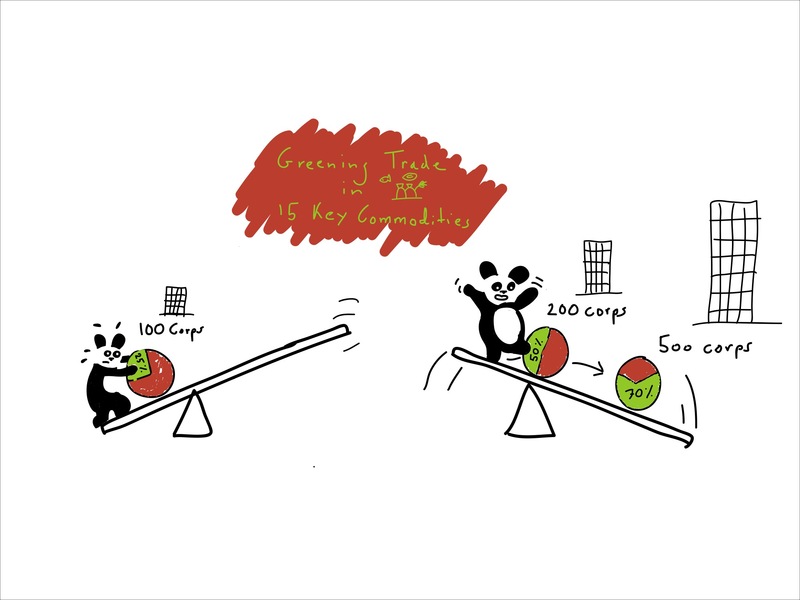 This fact underlies the foundation of the WWF’s theory of change for business enagement, where the WWF has selected to work on mainstreaming sustainability with the top 100 influential branding companies that control 25% of trade in key commodities. Through working with reputable brands, which have a high level of public exposure, WWF hopes to push the system to a tipping point in environmentally responsible global commodity production and trade by 2020. In order to transform production practices for these commodities to be environmentally responsible, the WWF strategy proposes to work with product labeling backed by independent third party certification. The idea is that labeling will allow branding firms to profile themselves as responsible companies, and distinguish their value proposition from the conventional product. For farmers, the hypothesis is that environmentally responsible production practices, prescribed by certification schemes, entail lowering the use of costly pesticides and artificial fertilizers which burden the environment. In short, certification’s proposition is that the tipping point to mainstreaming sustainability will be reached by creating value for brands, and by reducing production costs for farmers. certification is costly and the rate of return to producers is low. Certification entails making investments, changing management practices, and paying for auditing activities by expensive consultants. These are all costly activities. To stimulate producers to change their ways, the rewards of certification should be crystal clear, but the figures I’ve seen (unfortunately always off the record…) indicate towards a zero-to-no returns*. 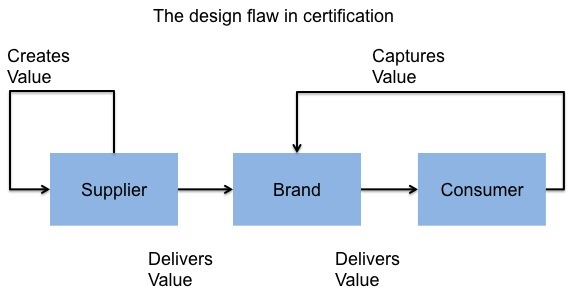 certification has to overcome this business model design flaw that currently contains most value capturing with the downstream corporations in the value chain. However, certification does not promote business model innovation to overcome this constraint in value distribution. To the contrary, certification schemes are designed in such a way that they can be used as a plug-in in existing business models. Currently there is a very limited group of top tier producers for whom the value proposition of certification works through the existing business models of the top 500 companies. Consequently, these companies are competing amongst each other for sourcing from this top tier of producers, because they produce the highest quality, and are most productive. Yet the value proposition of these existing business models is least attractive for the bulk of the producer population (generally consisting of smallholder farmers), which produces the lion’s share of the world’s food. We thus face the contradictory situation that the group which can contribute most to environmentally responsible production is excluded from the market under current business models, and that certification schemes have no power to reach out to these groups. The WWF sustainability mainstreaming strategy is a valid one to follow. However it is confronted with operational constraints due to design flaws in the adoption of responsible practices by the agricultural population under operations of current agribusiness models. It is evident that new agribusiness models need to be developed, which effectively integrate lower tiers of producers, and encourage them to up their game by allowing them to capture more of the value which is generated. Companies should be encouraged to purposefully experiment with business model innovations which could make certification practices work, rather than stick to their existing business models. 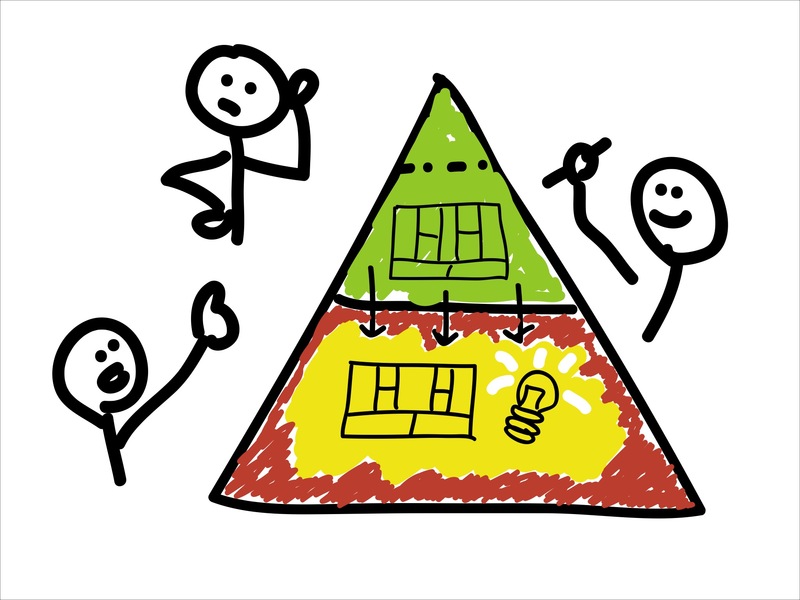 Business model design should be employed to pivot new ideas, and validate what works and what doesn’t. Just as in the oil and gas industry, where more difficult to capture oil and gas wells are becoming feasible to exploit in the wake of scarcity, it will also become rewarding to find ways of tapping into the productive resource of smallholder producers. Companies that succeed in innovating in profitable new business models that include lower tiers of producers will create a first mover advantage for themselves in the wake of the battle for agricultural commodities under a continuously growing world population. * In some cases producers are forced to stick to certification standards by making trade conditional on compliance, even is there are no returns. Under these conditions it is often more rewarding for producers to find creative ways of tricking the auditor into believing that they are complying to more responsible practices, rather than actually adopting them. 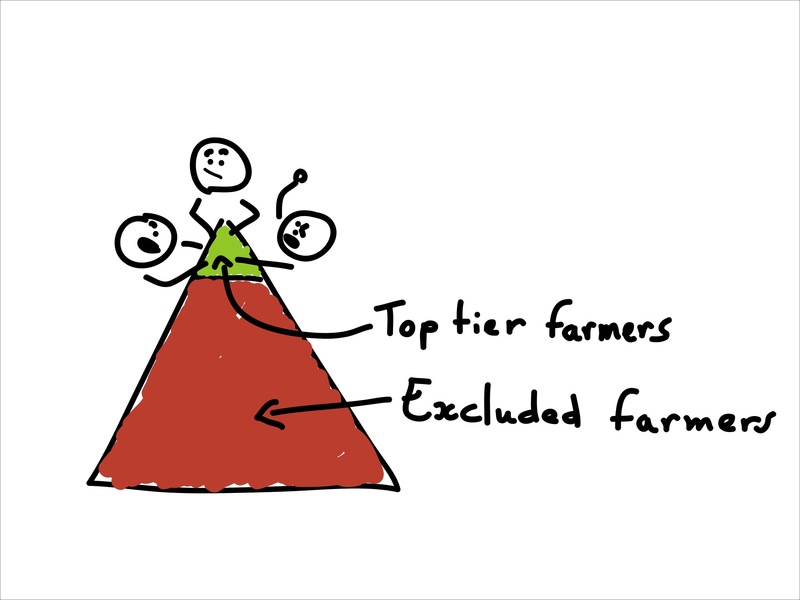 Acknowledgement: The farmer population pyramid and competition for the top tier farmers was shown to me by David Croft, sustainability director at Kraft Foods, during a business modeling workshop in 2011 on firm strategies and labor impact.